This blog post is sponsored by FSC International, Domtar Paper, Charmin, and Bounty. I learned first-hand how some of the biggest players in the paper products industry are using responsible, sustainable management practices to actually create healthy forests and foster human well-being at the same time. I got to go behind-the-scenes and get a unique look at P&G’s commitment to sustainability, seeing how they are using forestry for good in all of their Charmin, Bounty and Puffs products. I also got to witness their symbiotic relationship with the leading organizations: Domtar, WWF, The Nature Conservancy, Rainforest Alliance, Forest Stewardship Council (FSC), and the Four States Timberland Owners Association (FSTOA) where, together with P&G, they are not only driving progress in responsible forest management, but also helping ensure a more sustainable future for us all. Breathing in the freshest air at a sustainable tree farm during a unique, behind-the-scenes look into responsible forestry. Driving through a family-owned farm in Arkansas that serves as one of Domtar and P&G’s pulp suppliers , I could feel and smell the health of their natural, local ecosystems. I saw deer and birds, and even traces of wild boar that regularly bathe in their mud. On a once degraded hay farm, now stands hundreds of thousands of healthy trees. Where there once was a landscape altered by humans harming the natural ecosystem, there now stands one that mirrors the natural, local environment. Partnerships like this (of leading corporations, local communities, and environmental leaders) may seem like a small win, but this is the kind of collaboration that our planet needs right now. When corporations commit to doing the right thing, they have the potential to create a scalable, positive impact. Speaking with the landowners and foresters that have been a part of this family-owned farm since 1999, I learned that they view this plantation as their “30-year-old garden.” They began planting pine trees here, where there had previously been a foreclosed hay farm, and they now supply their surplus wood to paper mills like Domtar. In fact, 500,000+ trees are replanted each year on this farm alone. I learned that, in Arkansas, around 27 million tons of timber are grown each year... and of that, only 13 million tons are harvested. If it weren’t for tree farms like this one, who plant trees for paper and wood production, millions of Arkansas trees would be at risk for exploitation by land development. Think of those ugly shopping malls, fast food restaurants, and parking lots. Unlike some other industries, the sustainable paper that Domtar produces and P&G uses isn’t sourced by clear-cutting forests. In fact, the image portrayed when encouraging consumers to “go paperless” doesn’t paint an accurate picture of the environmental potential of paper done right. I learned that the paper industry in America is actually helping US forests thrive. In Arkansas alone, 1.2–1.5 million acres of forest has been added since the 1970’s due to their growing timber industry. More than 50 percent of the state is covered in trees, in large part due to the existence of the paper industry, so “The Natural State” for now is actually staying that way. In my research for this post, I also learned that tree plantations such as this one, in the United States, are an example of the fifteenth most powerful way to mitigate climate change (Project Drawdown). With some of the best research from scientists around the world, they have concluded that the establishment of tree farms, on previously deforested land, can both improve the health of ecosystems and take pressure off of our natural forests. They also result in 18.06 gigatons of reduced CO2. 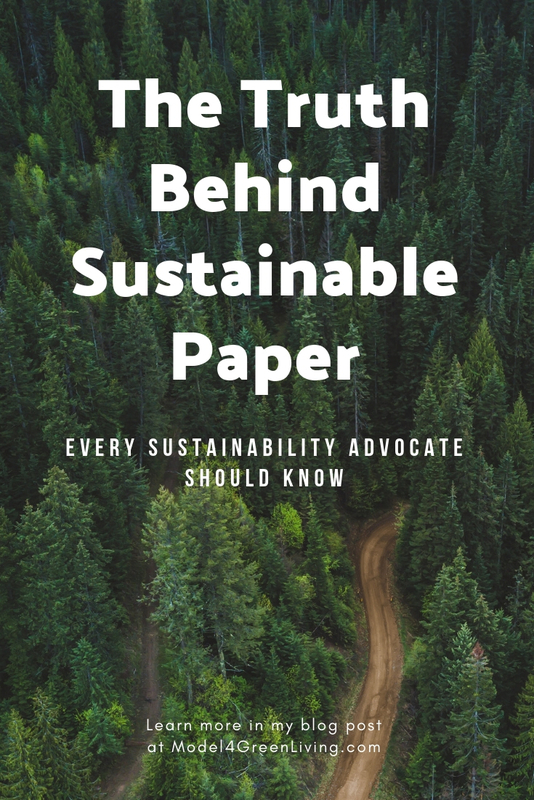 Knowing this, these organizations are working together, not only to ensure the sustainability of the paper products industry and help take care of the world's forests but also to provide a natural carbon-sink that wouldn’t exist without them. So, what does the FSC certification on paper products actually mean? In order for a tree plantation or farm such as this one to be eligible for FSC certification, it must meet rigorous environmental standards. Not only does the Forest Stewardship Council require that native species aren’t endangered by the creation of any farm, they also stipulate that, as part of pre-harvest activities, sites with rare and endangered animals must take steps to protect them. It also guarantees that the social and economic wellbeing of workers are prioritized, and that indigenous peoples’ legal and customary rights are not affected by land management activities. How is P&G helping take care of the world's forests? For every tree harvested, for use in the production of their paper products, at least one is regrown. As of July 2014, 100 percent of the virgin fiber found in all of Charmin, Bounty, and Puffs comes from sources that have been 3rd-party-certified as responsibly sourced. P&G Family Care and its partners are also working together to increase the supply and demand of FSC certified products through various initiatives, which will benefit the broader paper industry. P&G also continues to work closely with existing smallholder efforts, such as the Four States Timberland Owners Association, and works with its partner organizations to expand on those efforts to directly support the adoption of the FSC forest certification among non-industrial woodland owners. People and paper have gone hand in hand for almost 2,000 years, and in 2013 the United States alone used approximately 69 million tons of it. Knowing that the production of such a massive consumable like paper can be done sustainably and ethically is inspiring to say the least. It also makes me feel better when I consume sustainable paper in my daily life. By purchasing FSC certified, sustainable products like Bounty, Charmin, and Puffs, I can have confidence that our world’s forests are being cared for, local communities like those in Arkansas have economic and social well-being, and that sustainable forestry efforts that sequester carbon are financially incentivized. This visit to, what might seem like a small tree farm in Arkansas, truly helped fuel my hope for the future of our planet as a whole. The passion of the foresters and the organizations all coming together to do the right thing was something beautiful, to say the least. As more corporations make the initiative to do things sustainably, I hope you are given hope as well. As I said before, this may seem only like a small win, but as one of my favorite quotes by Ryunosuke Satoro says, “Individually, we are one drop. Together, we are an ocean.” Small wins, and small farms, when added together can become something much greater. As always, thank you for reading! Let me know any questions you may have about my trip to Arkansas, or what I learned about the sustainable paper products industry, in the comments below. Follow me On Pinterest @Model4greenliving!